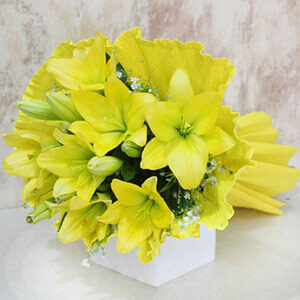 Vase can be used later for decoration purposes. The ribbon is resusable in nature. 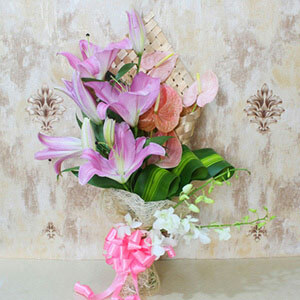 Surprise your special someone on your special day with something unique and beautiful. 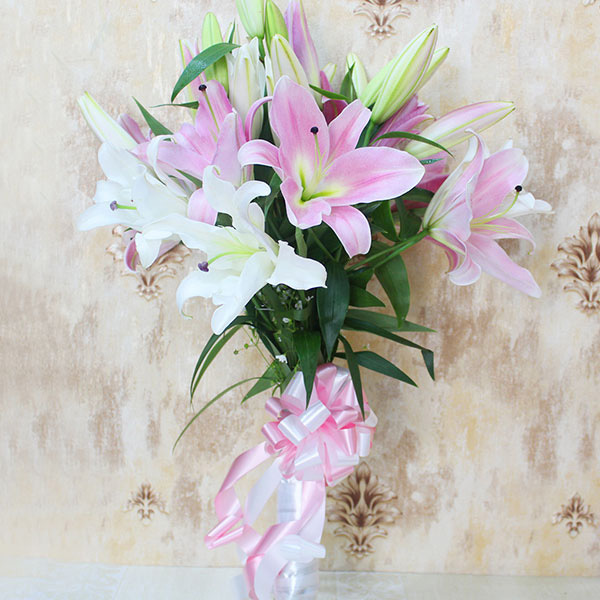 They will love this bouquet of 8 pink and white lilies and will cherish the moment forever. 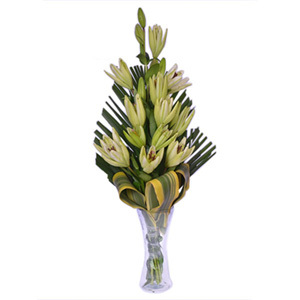 This arrangement will give a well-needed spark to your relationship. 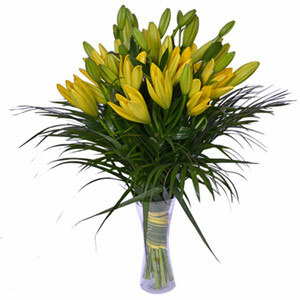 So, on this special occasion of yours give something worthy to your loved ones.